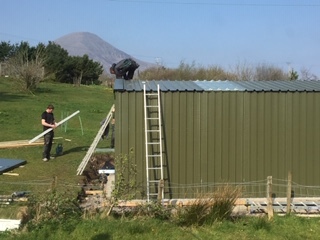 As you can see the new building for the otter facilities is up. 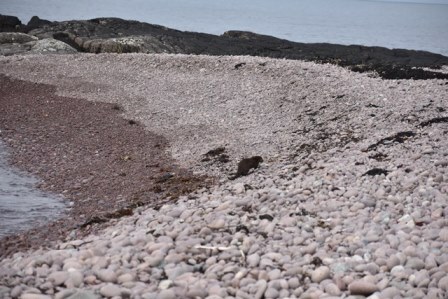 We are delighted with it and it will make a big difference to the otter care. Next we have to do the fencing and we will start work on that this week. Thanks to all who have contributed to make this a reality. It’s been a week of good and bad from the sanctuary this week. Following the release of Aeris and Beatha last week it was time to say our farewells to Mel. 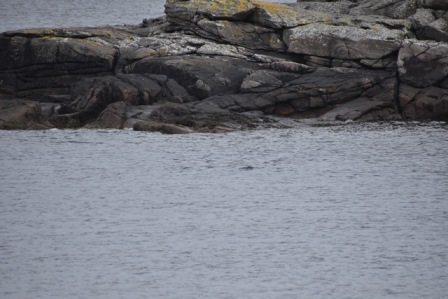 As always, it is great to see all of our hard work pay off and get an otter back to the wild and back where it belongs. 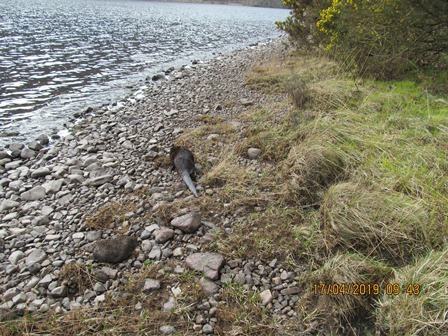 Mel took the time to enjoy all his new smells and surroundings as he explored the loch-side of his new home before escaping into shrubbery for some shade, a true trait of his! Click Here to see a short video of his release. On the other side of all the happiness was the devastating news that our latest little otter ‘Storm’ didn’t make it. After showing such early promise it was a heart-breaking shock to discover that he had died on Sunday morning. Cardiff University have carried out a post-mortem and can't find any cause of death - which makes it that little bit harder. Unfortunately that is the nature of the rehab centre and we can't save them all but it certainly doesn’t make it any easier when one of them passes away. He has a name! 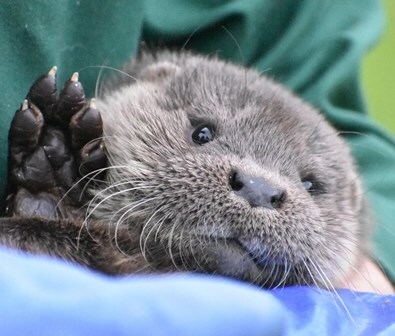 After a week long vote to determine the best name and the eventual winner, IOSF's new otter is called Storm! Quite a fitting name given he came in shortly after a storm. Congratulations to Emily Campbell, of Broadford Primary School, for picking the best name! It was finally time to say goodbye to our charismatic duo, Aeris and Beatha. 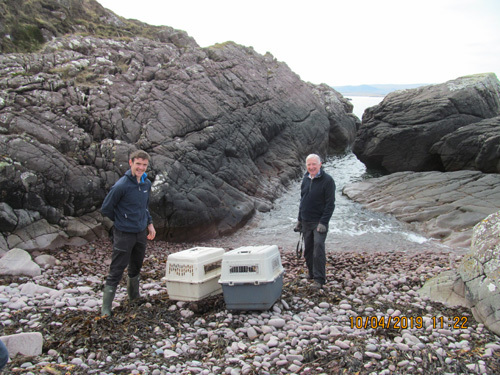 The two otters had spent their last year or so in our care but it was time to let them go and be where they belong, in the wild. Aeris, the more reserved and shy, spent her time exploring the beach and getting to know her new surroundings. We always love releasing them back to the wild as all the hard work has paid off! These otters, as with all otters, deserve their place in the wild and we are glad to return them there. Thanks to Phil and his family for their hard work getting Beatha into our care. And Sarah and her team for doing similar with Aeris. World Otter Day is on Wednesday 29th May. 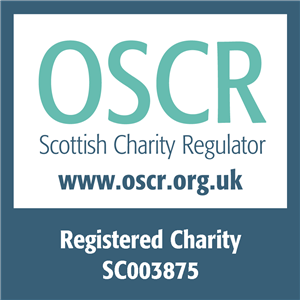 One of the ways you can support this is to join in our raffle. 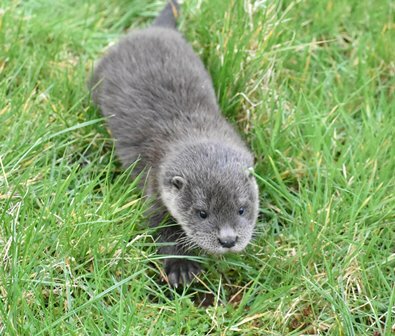 This year we were again able to offer three £100 grants towards the cost of putting on an event or carrying out education work, as part of a World Otter Day event. Again, we have received many applications from around the world for interesting an varied projects. We want to thank everyone who submitted an application and appreciate their support. - Kiengkai Khoonsrivong from Lao PDR - who will be raising awarness of the fur and pet trade and promoting otter conservation to students and local communities. 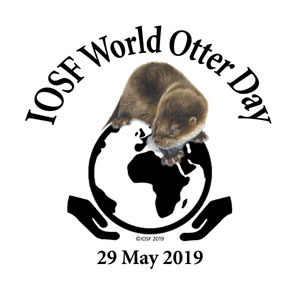 People all over the world are gearing up for IOSF's WORLD OTTER DAY on 29 May 2019. We now have an interactive map online which shows where people are planning events. 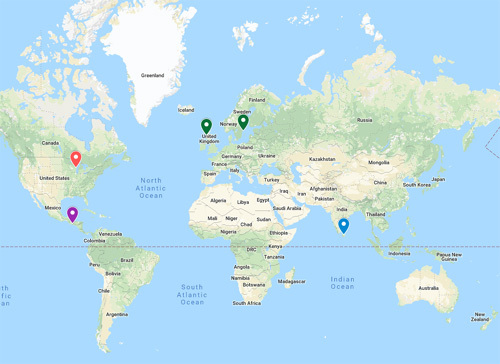 So send us the details of what you will be doing so that we can add it to the map. 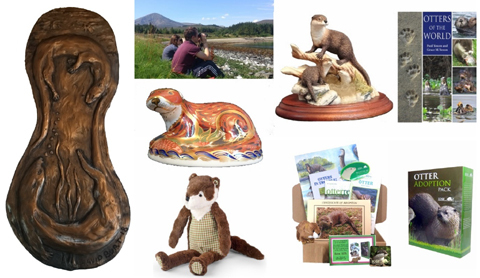 As you know, we welcome any activities - large or small - they all help to make people more aware of otters and their importance in our world. He was found near Ardgour on the western shore of Loch Linnhe. He was initially very cold and very weak. After some excellent care from the Crown Vets facility in Fort William IOSF eventually received him last week to continue his rehab. Initially eating salmon soup the little otter is now feeding himself on small chunks of salmon and is getting feistier every time we see him. IOSF would like to take the opportunity to thanks the Crowns Vets team in Fort William for looking after him and helping to transfer him to use on Skye.